Today we made it our mission to be painfully productive, literally. We brought Ellia in for her immunizations and Arias in to get her cavities checked and potentially filled. We brought Ellia to the local hospital, which is free of charge, for her 3rd set of shots. (Yes we are way behind. Odd because with Arias I was on top of it, but this time around I seem to be a little careless. Poor second child syndrome.) We met the nurse in her tiny title cubicle of a room to go over what shots were needed this time around. We found a bit strange that she didn’t remember us from two months ago. We realize that she probably sees many people here for immunizations, but really, how many gringos are there that are bringing their babies into the Luperon hospital for their shots. Anyways, I had to re-explain to her how far behind we are on her schedule, but at least this time around she didn’t give me trouble. Ellia took it well, she grimaced at having to take the polio med orally, and then let out that horrible heart wrenching scream when she got her needle, but settled pretty quick when she saw the lollipop we were bribing her with. On to our second mission, Arias’ teeth. A quick walk down the paved but dusty streets of Luperon got us from the hospital to the dentist’s office. This is probably the cleanest and most western looking building in the entire town. Arias inherited Eben’s weak enamel and porous teeth, which has caused her to get early cavities in her four back teeth even though we floss and brush everyday. We have known about these cavities for a while so we have been extra vigilant about her dental hygiene, hence why we were flossing and brushing her teeth rather than letting her do a half as*#d job at it. Before leaving Canada we had visited two dentists, one regular and one pediatric specialist, about her teeth and both quoted us ridiculous prices. 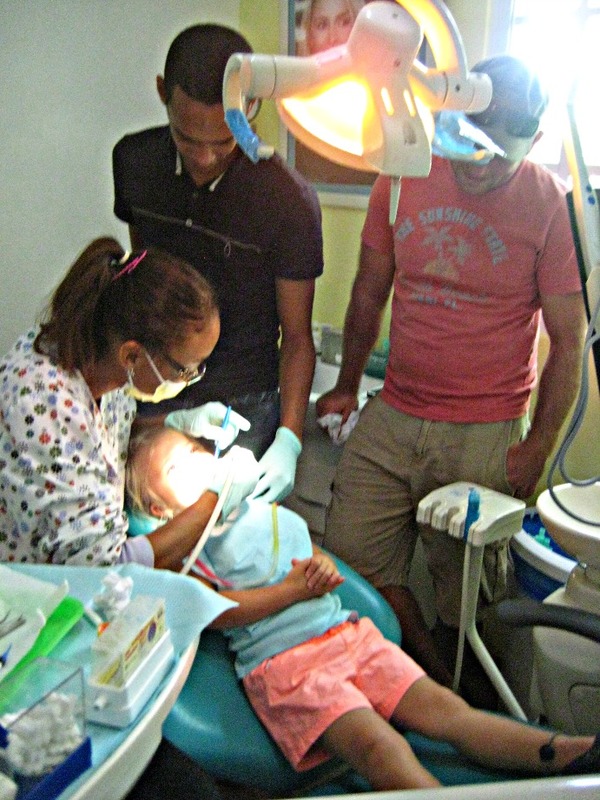 We thought it over carefully and because of her young age and the fact that she never complains of pain, we decided to put off the dentist work for a little while. Those cavities have only been growing since, and as of late we realized that we could stick the tip of a toothpick into one of them, it had become a small crater. It was time to get them checked again. We walked into the dentist’s office today hoping for only an exam but when the dentist finally saw us she quickly assessed the problems and explained to us that she could fix all four of them for only $10 each. That cost was also for porcelain white fillings, not those ugly metal ones that I have. 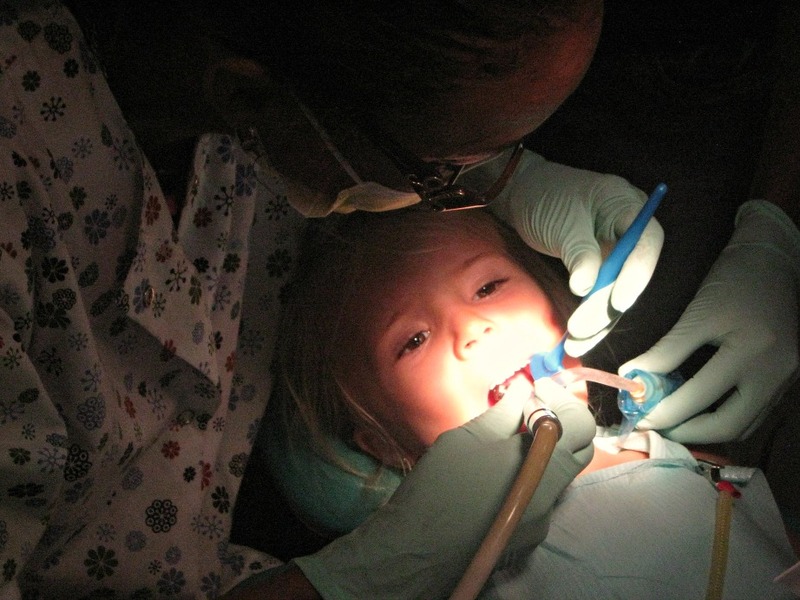 Our biggest worry was the anesthesia, we didn’t want her to have to get the needle and have a permanent fear of dentists, but didn’t want to put her under to do the work either. The dentist assured us she could do it without any anesthesia or pain. 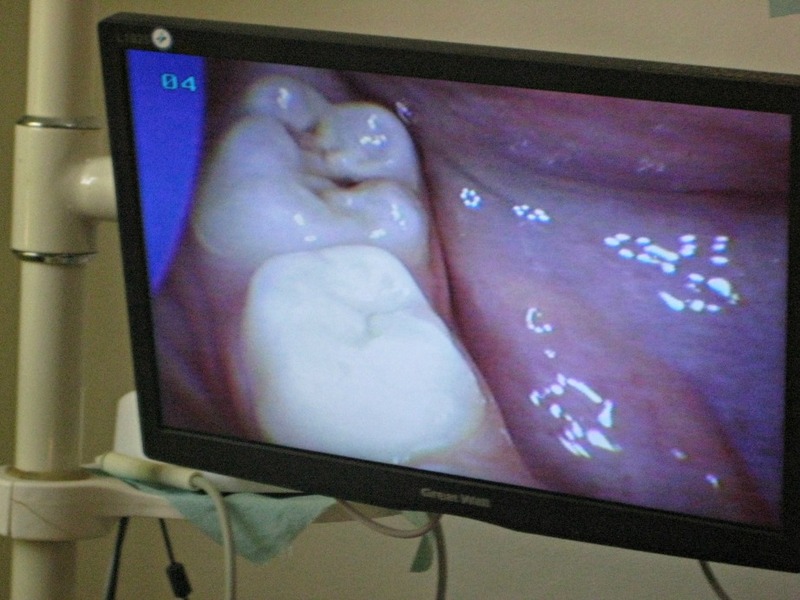 She decided to do one filling today so that Arias could gain confidence in her and her dentistry experience and then we could return the following week for the other three, and also because holding your mouth open while you get four cavities worked on can be long and painful for anyone. Glad the dental care and vaccinations were taken care of. The cost of dental care really caught my eye. I'm in need of some smile repairs, perhaps Luperon is the place to do it. My husband and I have been following and enjoying the posts, nice work and fair winds to you always! The price for dental here it super cheap, and fast (most often you can just walk in without an appointment). We have a friend that had all her metal fillings changed to the porcelaine ones for $15 a piece. And Eben paid $65 for a cleaning and getting a front tooth chip fixed. It's definitely tempting. Your girls are sweet brave kids! I just have to agree with Cyndi, the cost in Canada is over the edge of the price of having all of your teeth extracted. I agree. 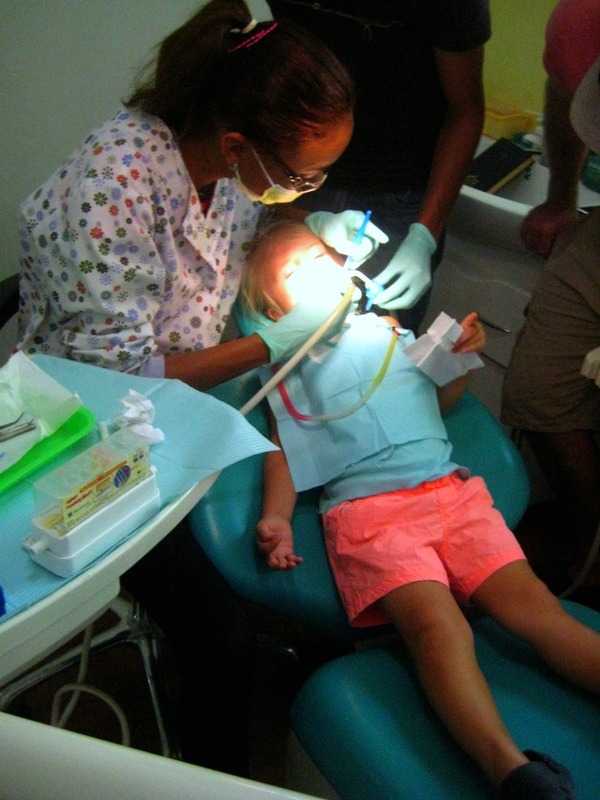 We are all getting all the dental needed before leaving, cleanings, fillings, etc. because who knows where will be the next country that we will get this sort of cheap opportunity.